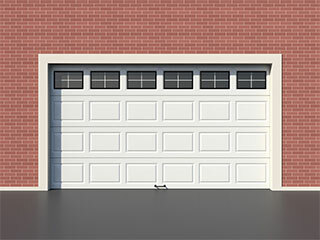 There are a few different types of residential garage doors that are commonly used today, and each one has a distinct way of moving which can make it either a perfect fit for you or not such a great one. It is best to understand the various types so you'll be able to determine which one is the preferred choice for you. As the term suggests, this type of door moves outwards when opened, very much like a swing gate. Usually, two doors are installed for this type of system. They need to have a lot of empty space available outside your garage. Otherwise, they won't be able to open, or they'll end up damaging someone or something while trying to open or get damaged themselves. This type of system is still being used today because some homeowners find that it lends a classic look to their house. This type of system, also known as the "up and over door" swings out towards the driveway and ends up in a horizontal position. Since a part of it protrudes into the driveway space outside your garage, there needs to be free space available three at all times. Otherwise, the door could end up hitting a vehicle or hurting someone. If your driveway is short, this may not be the best option. This type of system literally rolls up towards the ceiling, making it a real room saver. There is no need to worry about having a limited amount of space in your driveway. However, a roll up garage door may not work with ceilings irregularly shaped ceilings. It also needs a certain amount of headroom space available inside your garage in order to be able to work safely. This type of door can be opened by - as the name suggests - sliding to one side. Because of this, there should be ample room available on the side of your garage where the panels will slides. This type of system uses special tracks which guide its movement much like a sliding gate system. If you want to be sure you're getting the type of door that suits your specific needs, you can call our team at Garage Door Repair Keller to consult with our experts. We specialize in performing door installations and can make sure you make an informed decision. Our technicians can handle every type of garage door related problem. After working with these systems for well over a decade, we've accumulated a veritable wealth of experience which now allows us to fix any issue quickly and safely. Take a look at the rest of our website to see what we can help you with today. Our technician will contact you before arriving. Until then, feel free to browse our website! Garage Door Repair Keller is at your service!